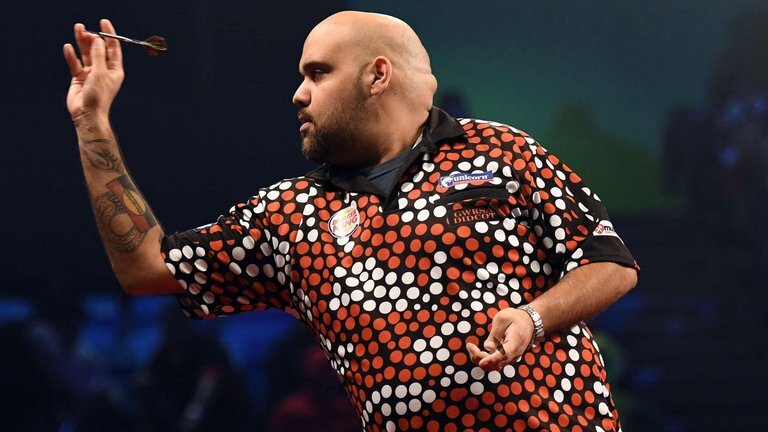 As the European Championship approaches, we take a look back on one of the stand out moments of last year’s tournament involving Kyle Anderson. Anderson faced off against Michael van Gerwen in the semi-final and smashed in a brilliant nine darter. It was the second perfect leg of his career after his previous one at the World Championship in 2013. He went on to miss two match-darts to beat Van Gerwen and eventually lost after a leg-decider. However he still picked up £25,000 for hitting the nine-dart finish.